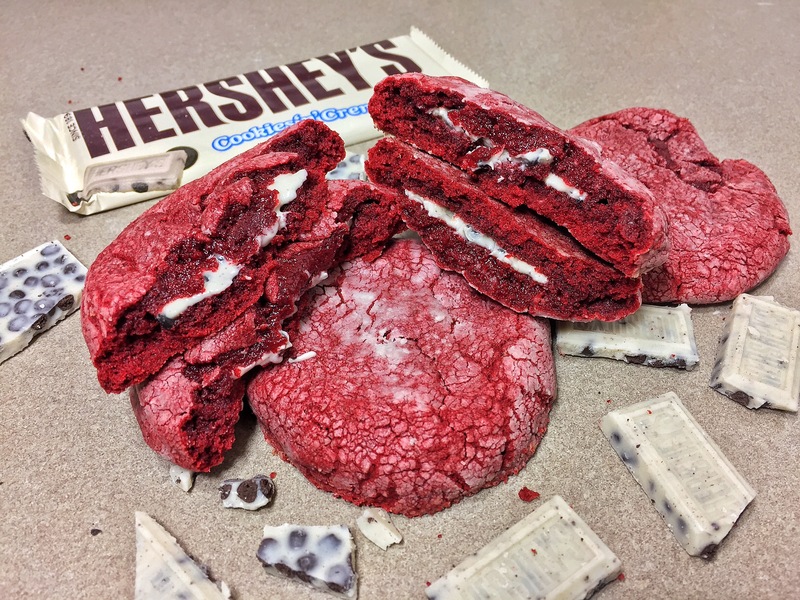 Today I’ll be showing you how to make Cookies n Creme stuffed Red Velvet Cookies! They’re quick, simple n delicious! Start by taking your red velvet cake mix in a large bowl, add the 2 large eggs & 1/3 cup of regular vegetable oil. Mix until batter forms kind of doughish. Next your will want to take either a melon ball scooper or you can guesstimate about an inch ball of cake mix in your hand. Next, break of two squares of your Cookies n’ Creme bar and place them in the center of your cookie. Fold in and completely cover the pieces of Cookies n’ Creme Bar. Preheat oven to 375° and bake for 9 to 10 minutes on a nonstick cookie pan. Let cool for a few mins and enjoy! Here’s a quick 15 sec video to show you the steps! Previous postBroccoli Cheddar Cheese Sticks!